Here’s a cute little needlekeep that goes with all the tomato pin cushions I made. Sharon at Liberty Rose strikes again with another fun class! This is hand-stitched out of wool, and only took a couple hours. 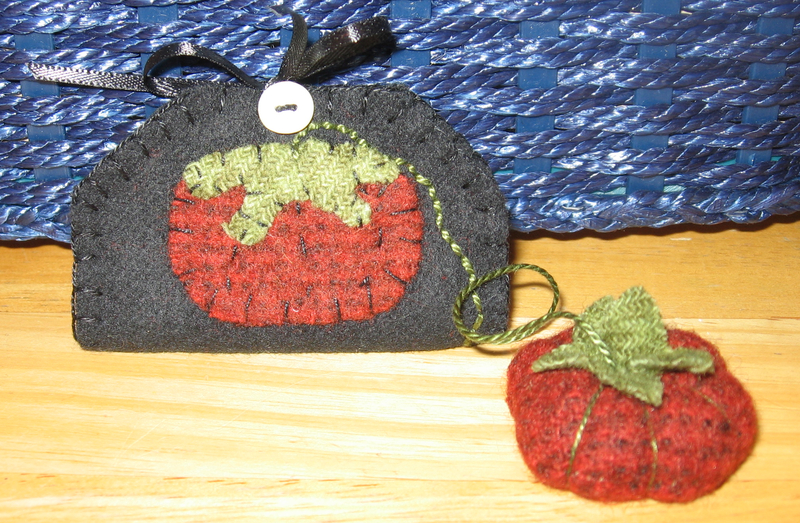 I added the small tomato pin cushion on the end – I always like to add my own thing to a project :). This is small enough to throw in your purse, along with a few skeins of floss and an embroidery project. This entry was posted in Sewing, Wool. Bookmark the permalink.